These are used for providing a cushioning effect and also PVC impregnation in the automobile industry.Used for weed control between rows of plants. We are a top-notch organization, engaged in providing Non Woven Jute Felt. We are offering Jute Felt Mat to our Client. Jute Felt is 100% biodegradable and degrades without leaving harmful traces. The product insulates the soil against extreme temperatures and hence helps in the survival of plants. 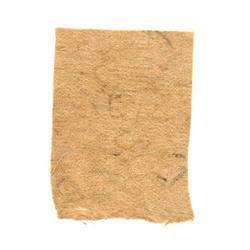 The Jute Felt absorbs moisture, up to 5 times its own weight and hence provides moisture to plants during dry periods. Specification. 17.Roofing Material: Tar Felt, Rubberoid Roofing, Tarpaulins, Canvass, Hessian Based Tar / Paper Coated Rolls, Black / Colored / White / Transparent Polethene Sheets, Roofing Compound, Thermocole, PUF, Glass Wool. Etc. Offering good quality jute felt. We are counted among one of the leading stockist and suppliers of Jute Felt. Jute Felt is mainly used for. Resin felt can be manufactured as a flexible blanket, semi rigid board or a moulded rigid panel for thermal and acoustic insulation in automotive industry and applications like carpet underlay, ceiling and machine room acoustic lining. Its non-hazardous nature of the fibre used is excellent for insulation. 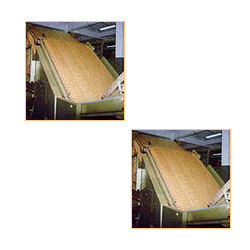 Jute Non-Woven supported and unsupported in high and low density using modern (Dilo) needling technology extensively used for carpet underlays, padding, moulded products for automotive sector as also usage in agricultural, horticultural and construction activities. Banking on our enriched industry experience, we are able to supply Non Woven Jute Felt.